Aalst, 29 March 2018 – Globis, the ERP/WMS/TMS player for logistics service providers, will implement the innovative Dutch iSHARE agreements in its software as the only Belgian member of the core team. 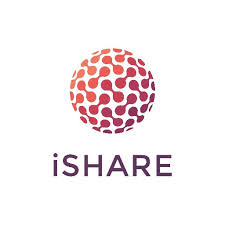 iSHARE is a set of uniform agreements for identification, authentication and authorisation that are designed to enable businesses in the supply chain to share data in a controlled way and without barriers. Globis will be one of the project’s ‘launching customers’. It will be the first Belgian business to adapt its solution for a customer and, more generally, its own software to the iSHARE scheme. The business will therefore enjoy a favoured position among potential Dutch customers. iSHARE will officially announce the other ‘launching customers’ at the Dutch Top Sector Logistics annual conference later today. Through one of its own projects, Globis has become one of the iSHARE project’s ‘launching customers’. It is the only ‘launching customer’ based in Belgium, and it will be the first Belgian party to work in accordance with the scheme’s legal, operational, functional and technical agreements. This will put Globis in a unique position when it comes to potential Dutch customers. Among other things, Globis will make use of one of iSHARE’s key features: the ability to delegate rights. By delegating the right to view data to an existing client, which then grants that right to its own client, it is possible to share data with parties that were previously unknown. With iSHARE, parties can be certain that their data are shared with reliable parties, and they remain in control of their own data at all times. Globis will integrate the iSHARE scheme in its GlobSync module. GlobSync is an enterprise service bus that was specially developed for logistics service providers. It makes it easier for businesses in the logistics sector to communicate digitally with each other and with customers and suppliers. GlobSync can also be used within a business to link different software systems together. Compatibility with the iSHARE scheme will make this even easier and more secure. iSHARE is a set of agreements that provides companies in the logistics sector with a simple and controlled way of sharing data. The uniform agreements for identification, authentication, authorisation and delegation allow logistics parties to share transport capacity more easily, quickly and efficiently, including with parties they have not done business with before. In this way, obstacles to data sharing are removed. This represents significant progress towards improved collaboration within the logistics sector for everyone who takes part in the iSHARE scheme. Using this set of agreements will enable significant efficiency gains to be made, partly because many paper documents can be omitted, and also because it will make matters such as registering and planning shipments much easier. Globis is an innovative cloud-based platform that allows logistics service providers to manage all commercial, administrative and operational processes and integrate them in the supply chain in real time. The launch of the GlobChain® platform at the end of last year demonstrated the strength of Globis’s ambitions. Globis and its co-creation partners intend to use GlobChain® to build a revolutionary virtual network of logistics service providers. GlobChain® will open up a digital supply chain, in which information is shared efficiently by all relevant parties. GlobSync is one of the key building blocks within GlobChain®. If you would like to receive further information or arrange an interview, please contact Elsie Van Linthout at Luna (elsie@luna.be, tel. +32 475 26 01 03). Globis Software NV is a rapidly growing software company from Aalst, Belgium, with more than 50 employees. Globis develops and supports a comprehensive standardised ERP platform that is widely used at medium-sized businesses both within and outside the Benelux. Besides providing impressive functionalities for production management and warehouse management, the platform offers a total solution for logistics service suppliers that includes freight forwarding management and transportation operations management. For further information, please visit www.globis-software.com. GlobChain® is a technology platform that enables Logistic Service Providers to optimize their operations through the use of innovative integration and data science technologies.